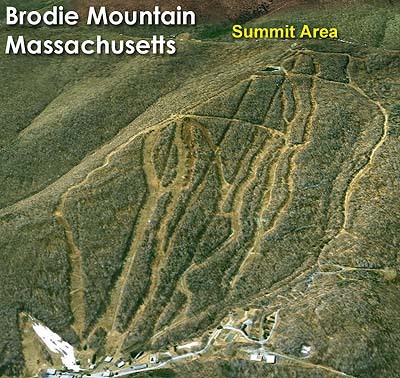 After a grand reopening in 1964-65, Brodie looked to expand upward. 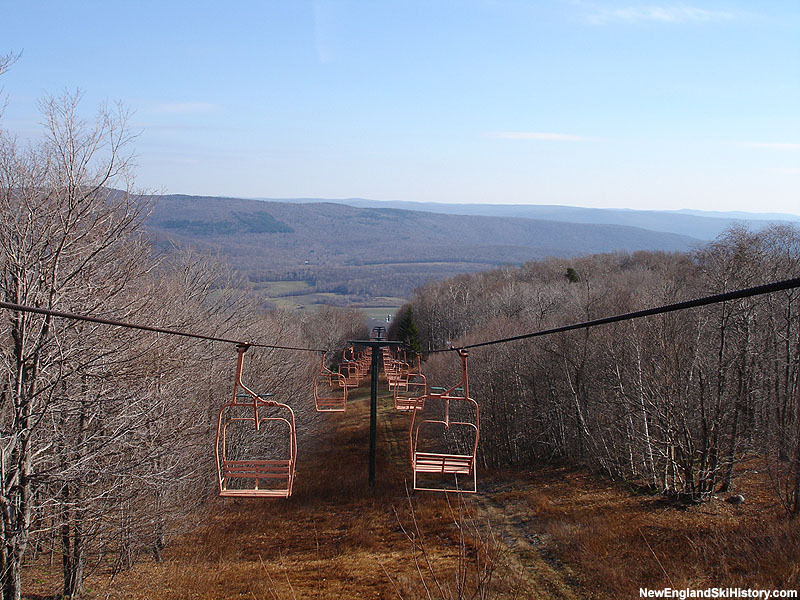 For 1967-68, a 260 vertical foot Poma T-Bar was installed to the summit, increasing the ski area's advertised drop to 1,250 feet, and adding 4 new trails. 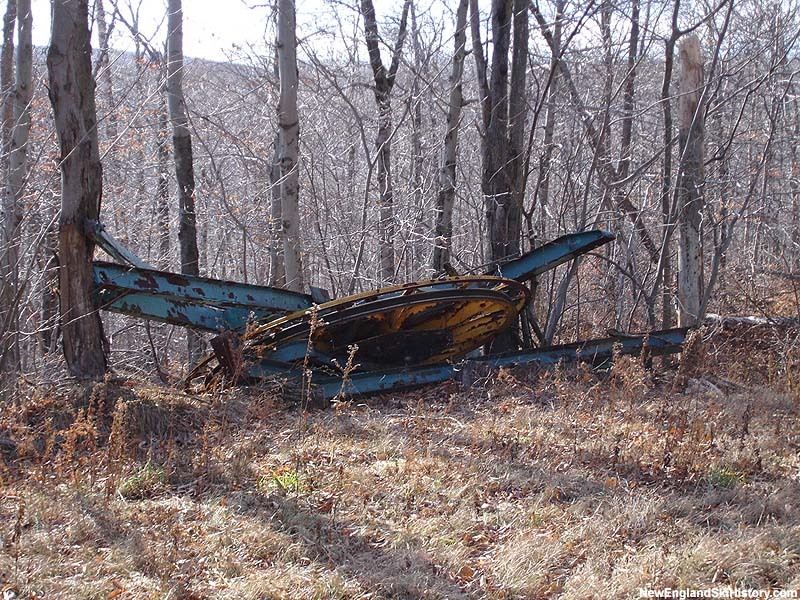 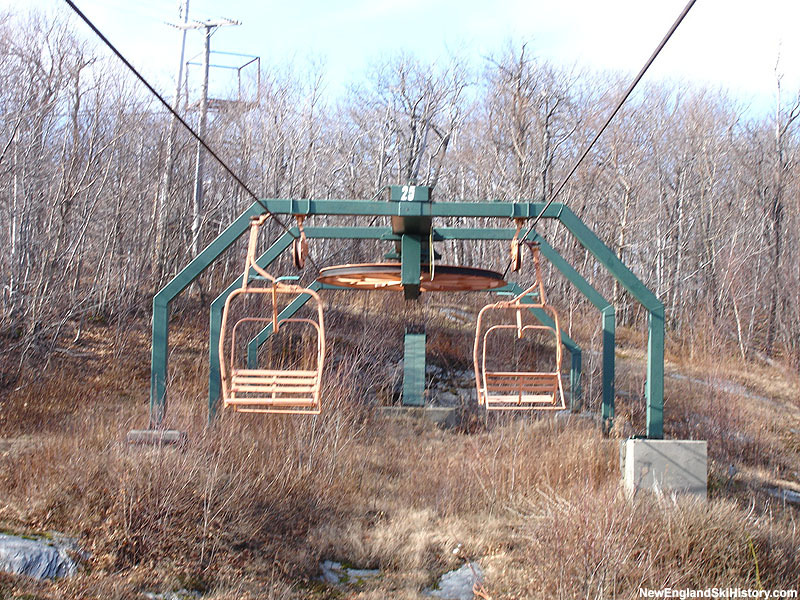 The following year Dot's Lift was installed from base to summit, a 1968 Borvig Double Chairlift that climbed 1,130 vertical feet over a run of 5,600 feet. 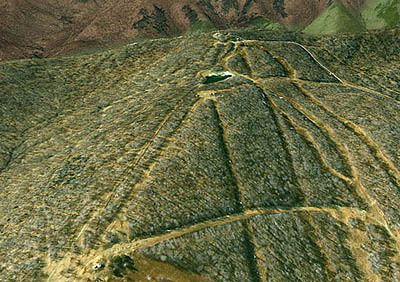 The lift was made especially unique by its bridged pond crossing next to the loading area. 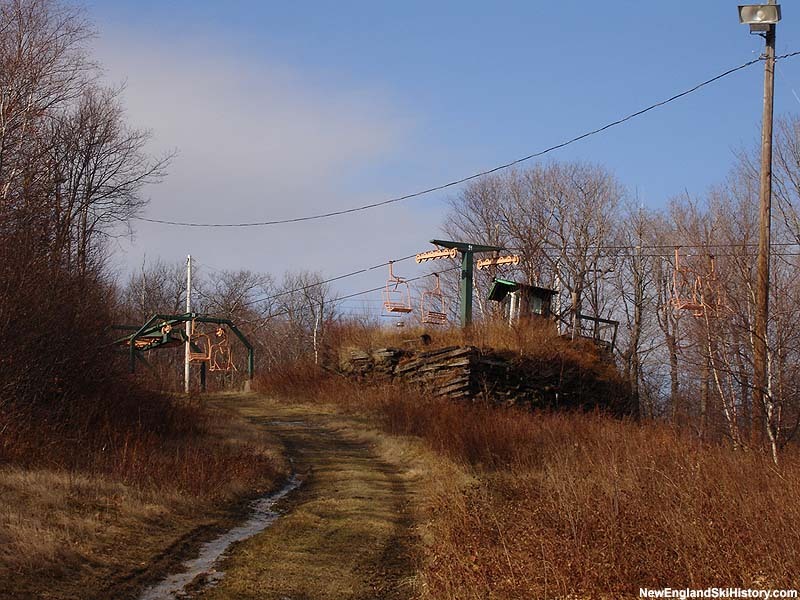 The summit area featured lights and snowmaking and would remain open for the balance of Brodie's ski history (though the T-Bar would be removed toward the end). 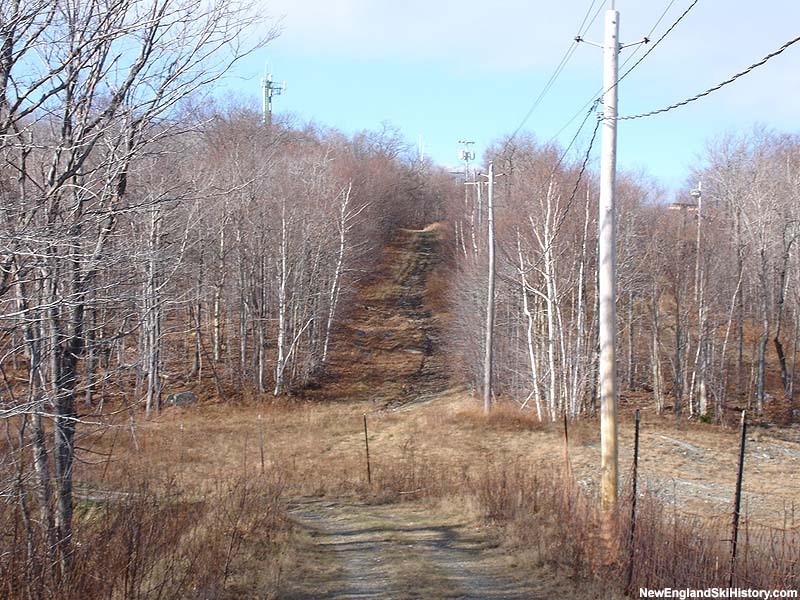 The upper mountain terrain was generally novice to intermediate with a few short expert trails. 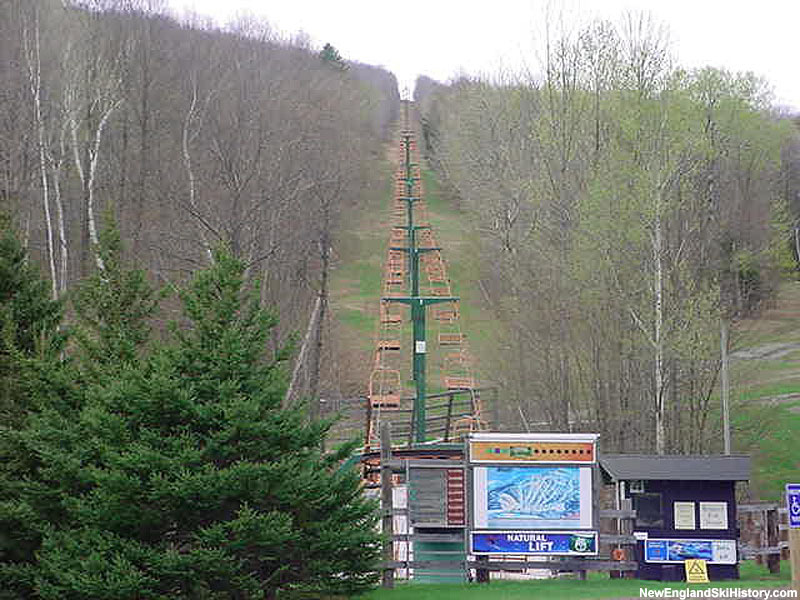 A new upper mountain snowmaking pond would be installed after Jiminy Peak's owners purchased the ski area in 1999. 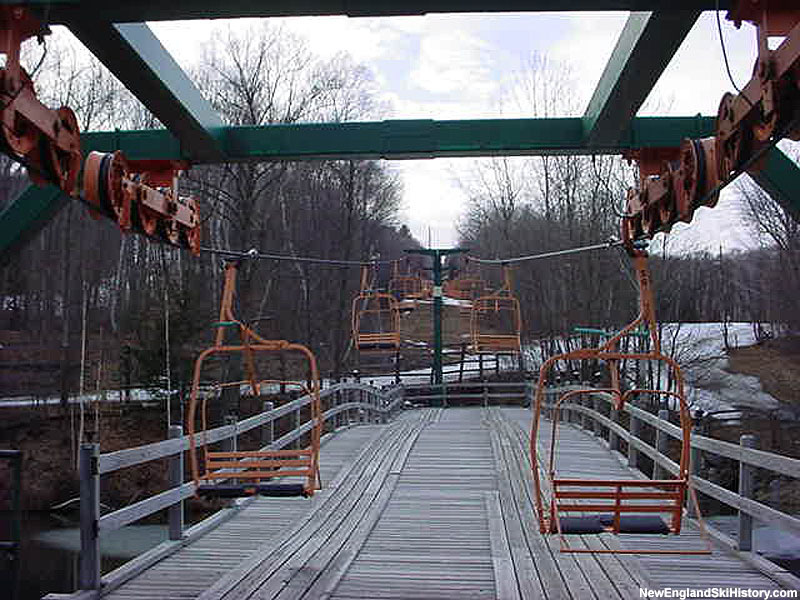 The summit area, as well as the rest of the ski area (aside from the lower mountain tubing operation), closed after the 2001-2002 season.